Former President Olusegun Obasanjo has responded to the suggestion by President Muhammadu Buhari that the administration he (Obasanjo) led between 1999 and 2007 wasted $16billion on power projects without much to show. Obasanjo described Buhari’s claim as ignorant, and unsubstantiated. 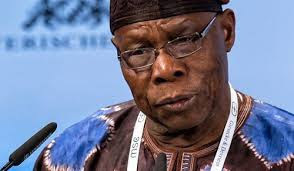 Obasanjo has now shot back through a statement by his media aide, Kehinde Akinyemi.